The Supreme Court has instructed the trial court to pass a reasoned Order in the principal case. 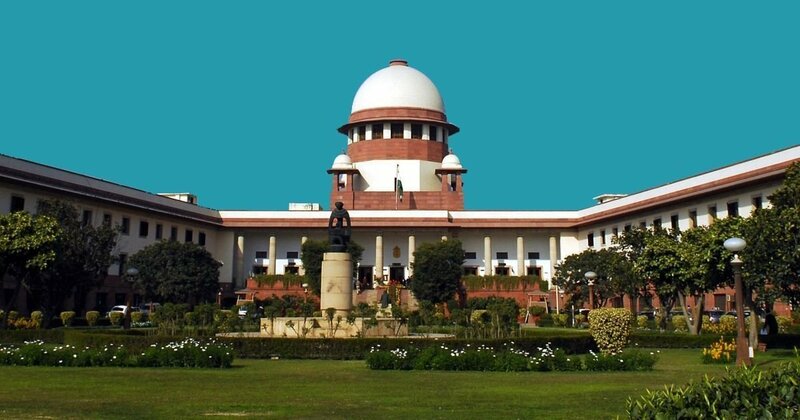 Yesterday, a bench of the Supreme Court comprising the Chief Justice of India Dipak Misra, Justice DY Chandrachud and Justice AM Khanwilkar directed the trial court to pass a reasoned Order in the 2007 Gorakhpur riots case. The matter before the Supreme Court arose out of a Special Leave Petition (SLP) filed by Rasheed Khan – one of the complainants in the Gorakhpur riots case – against an order of the Allahabad High Court on February 1 this year. The Allahabad High Court in its order did not dispute the facts of the case. Instead, the Court took the view that proper sanction had not been granted by the Governor to prosecute the then Member of Parliament Yogi Adityanath. According to the facts of the case recounted by the Allahabad High Court, the riots that took place on January 27, 2007, on Satvi Moharram were instigated by a speech given by Adityanath. At around 5 a.m., members of the 'Hindu Vahini' along with traders and businessmen assembled in front of a shop, Shyam Traders, and began raising slogans “exhorting the members of majority community to plunder the properties and houses of the members of minority community and kill them”. By 10 a.m. the mob had entered the Karam locality and received word that 'Baba' was arriving soon. The First Information Report (FIR) was filed at Kotwali Police Station in Gorakhpur under sections 147 (rioting), 295 (damaging a place of worship), 297 (trespass on a burial place), 436 (mischief by fire or explosive substance), 506 (criminal intimidation) and 153A (promoting enmity on basis of religion, race or place of birth) of the Indian Penal Code (IPC). The first charge-sheet was filed on June 14, 2007, before the Chief Judicial Magistrate (CJM) at Gorakhpur, however, since the investigation agency had not received sanction from the government, they could not invoke section 153A of the IPC. Three years after filing the first charge-sheet, sanction was granted by the government of Uttar Pradesh on January 30, 2009. The additional charge-sheet was filed in November the same year. The CJM took cognizance the following month. In 2014, the accused persons challenged the sanction order before the Sessions Court at Gorakhpur. In 2017, the Sessions Court then set aside the orders passed by the CJM regarding cognizance on the ground that the sanction granted was not proper. They then directed the CJM to pass fresh orders regarding cognizance. However, Rasheed Khan was not the only person to move the courts against Yogi Adityanath. In November 2007, the CJM at Gorakhpur was approached by Parvez Parwaz who accused Yogi Adityanath of delivering hate speeches during the Gorakhpur riots. His complaint was rejected as an FIR had already been filed in connection with the riots. Parwaz then challenged the CJM's decision in the Allahabad High Court who then directed the CJM to register his complaint. In November 2008, the state government directed the Crime Branch of the Criminal Investigation Department to examine the allegations. At around the same time, one of the accused, Anju Chowdhury, challenged the Allahabad High Court's order in the Supreme Court. The Apex Court stayed the proceedings until finally dismissing the petition in 2012. Not to be outdone, Parwaz also filed a petition in the Allahabad High Court demanding that the investigation be handed over to an independent agency. The petition was dismissed in 2009. He filed a restoration application in 2010 which was also dismissed in 2015. In May 2017, he filed a recall application. By this time, the assembly elections in Uttar Pradesh had been conducted and Yogi Adityanath became the Chief Minister in March 2017. The Chief Secretary of Uttar Pradesh informed the High Court that the Principal Secretary for Home Affairs in the Government of Uttar Pradesh had refused to grant sanction for prosecution. The petitioners accordingly amended their petition to challenge this refusal. In September 2017, the petitioners filed an application seeking to implead Yogi Adityanath, Dr. Radha Mohan Das Agrawal, Y.D. Singh, Anju Chowdhary and Shiv Pratap Shukla. The Court refused to entertain the application. Also Read: UP Chief Sec Summoned with Records of Gorakhpur Violence where CM Adityanath Named as Accused. Subsequently, on February 22 this year, the Court dismissed the petition. The Court refused to transfer the investigation to an independent agency. The Court also refused to accept that the DVD of Yogi Adityanath's hate speech that had been sent for analysis was not the one submitted by the petitioner. Instead, the Court concluded that the video could have been tampered with and dismissed the DVD altogether. Finally, the Court also refused to entertain the challenge against the government's refusal to grant sanction. Parvez Parwaz then approached the Supreme Court. On August 20, the Supreme Court sought a response from the government of Uttar Pradesh regarding the granting of sanction to prosecute Adityanath as well as transferring the investigation to an independent agency. The next hearing for this petition will be taken up in October this year.